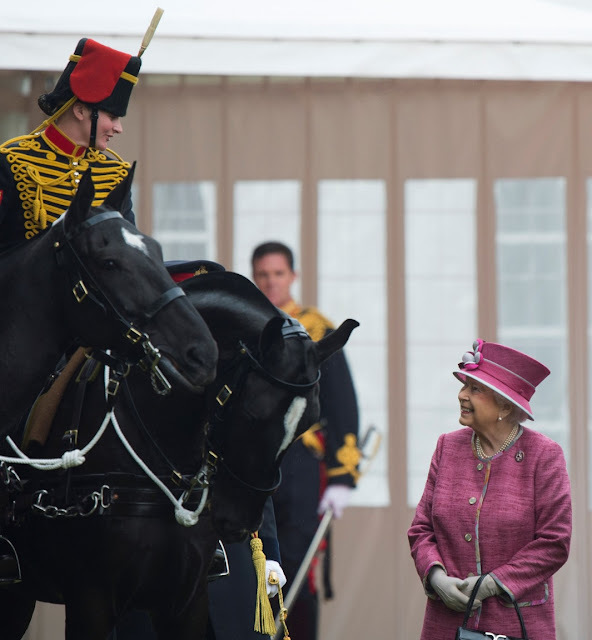 The Queen, Captain General, reviewed The King's Troop Royal Horse Artillery on their 70th anniversary at Hyde Park, London. For more: Express article, Zimbio gallery. Horses and the military, Her Maj was right at home for today's engagement. She even got to check up on the progress of one of her former race horses, Knock Castle; she gifted the horse to the Troop in August. As for the brooch, no surprise here: another regimental badge.